Janácek’s thrilling large-scale choral encounter Glagolitic Mass is brought to life in all its ground-shaking glory by the Philharmonia Orchestra, one of the world’s finest orchestral ensembles, and the tremendous power of a full choir of over 200 voices including members of both Bristol and Gloucester Choral Societies. Internationally-renowned conductor Jakub Hruša leads this very special all-Czech programme that also features the vivacious overture to Smetena’s opera The Bartered Bride, and Dvorák’s sometimes puckish piano concerto, given a relatively rare outing by a fiery young pianist The Washington Post insists is “someone to watch”. Bedřich Smetana (1824-1884) is widely regarded as the father of Czech music, and beloved by his homeland for this reason. Internationally he is best known for his symphonic cycle Má vlast (‘My Homeland’), and his opera The Bartered Bride, which is regarded as the first work of the Czech operatic style. The overture to this opera stands as a concert piece in its own right, and continues to delight audiences the world over. Antonín Leopold Dvořák (1841-1904) followed Smetana’s nationalist example, with Czech folk music heavily influencing his style. Known as a supreme symphonist, his most famous work is of course his 9th, otherwise known as the New World Symphony. Of the three concertos he composed for piano, violin and cello, the piano concerto is the most rarely performed. Leoš Janáček (1854-1928) completes this triumvirate of Czech musical genius. Janáček devoted many years to studying the folklore of his homeland, as well as the works of his musical forebears such as Dvořák. His later works demonstrated his skill in reimagining the folk music of the Slavic lands in a modern musical language, first shown in his opera Jenůfa. Although not religious, Janáček was highly spiritual, believing in the divine energy of nature and the universe – a belief he affirms in exultant style through the Glagolitic Mass. Born in the Czech Republic and described by Gramophone as “on the verge of greatness”, Jakub Hrůša is Music Director and Chief Conductor of the Prague Philharmonia and Principal Guest Conductor of Tokyo Metropolitan Symphony Orchestra. He is a regular guest with many of Europe’s leading orchestras, including the Philharmonia Orchestra, Czech Philharmonic, Leipzig Gewandhaus Orchestra, Orchestre Philharmonique de Radio France, Finnish Radio Symphony, SWR Symphony Stuttgart, WDR Symphony Cologne and the BBC Symphony Orchestra. In 2010 he became the youngest conductor since 1949 to lead the opening concert of the Prague Spring Festival. Jakub Hrůša studied conducting at the Academy of Performing Arts in Prague where his teachers included Jiří Bělohlávek. He is currently President of the International Martinů Circle. Born in Opava, Czech Republic in 1986, Lukáš Vondráček’s musical ability was spotted at the age of two by his parents, made his first public appearance at the age of four and made his New York debut at Carnegie Hall’s Issac Stern Auditorium at age 16. After studies at the Academy of Music in Katowice and the Vienna Conservatoire, he moved to the US in 2009 and received an Artist Diploma from Boston’s New England Conservatory of Music, where he studied with Hung-Kuan Chen. He has worked with conductors including Paavo Järvi, Gianandrea Noseda, Marin Alsop, Zdenek Macal, Pietari Inkinen, Vasily Petrenko, Jakob Hrusa, Christoph Poppen and Anu Tali. In February 2012 Lukáš Vondráček won the first prize of the 12th Unisa International Piano Competition in Pretoria, South Africa, and received the Raymond E. Buck Jury Discretionary Award at the 2009 International Van Cliburn Piano Competition. His first commercial recording, a solo album for Octavia records featuring works by Mendelssohn, Liszt, Janáček and Dohnányi, was released in 2004. Performing regularly in concerto and recital appearances, Vondráček has performed in Paris’s Cité de la Musique, Brussels’ Palais des Beaux Arts, Auditorio Nacional Madrid, Zurich’s Tonhalle, Concertgebouw Amsterdam, BBC Belfast Festival, Festival La Roque d’Anthéron, Gilmore Festival, Ravinia Rising Stars Series and ‘The Next Generation’ Festival in Dortmund. He gave his UK recital debut at the Queen Elizabeth Hall as part of the International Piano Series, where he was the youngest pianist featured in its history. German soprano Gun-Brit Barkmin has created thrilling character portraits performing leading roles in operas by Janáček, Britten, Berg, Wagner and Richard Strauss. Career highlights have included Laura in Hindemith’s Neues Vom Tage with Teatro delle Muse in Ancona, Mimi in Puccini’s La Bohème with Seattle Opera, and Anna in the François Girard production of Brecht and Weill’s Seven Deadly Sins with Lyon Opera, followed by performances at the Edinburgh International Festival and New Zealand International Festival of Arts. She also sang Anna in Rio de Janeiro and in Campos de Jordaõ with Robert Minczuk. Ms. Barkmin sang Marie in Richard Jones’ new production of Berg’s Wozzeck with Welsh National Opera, conducted by Vladimir Jurowski. In the 2013-14 season Gun-Brit sings Lady Macbeth in a new production of Verdi’s Macbeth by David Hermann at the Aalto Theatre in Essen under Tomáš Netopil. In Vienna she makes her house debut at the Vienna State Opera singing Ellen Orford in Britten’s Peter Grimes, followed by the title role in Richard Strauss’ Salome under Andris Nelsons, and her role debut as Sieglinde in Wagner’s Die Walküre under Jeffrey Tate. She also returns to Leipzig Opera as Chrysothemis in Richard Strauss’ Elektra. With her naturally rich, distinctive sound and luminous stage presence characterized by poise and integrity, Finnish mezzo-soprano Monica Groop enjoys a multi-faceted career combining operatic, recital, symphonic, and chamber music engagements with a discography of critically acclaimed recordings. She made her professional debut as Charlotte in Massenet’s Werther with the Finnish National Opera in 1987, and has been an international mainstay since her London debut at Covent Garden in the highly acclaimed 1991 Haitink-Wagner Ring Cycle. Monica Groop has performed with many of the world’s major opera companies and orchestras including Covent Garden, Munich State Opera, Royal Opera of Stockholm, Los Angeles Opera, Paris Opera, and the Teatro Real in Madrid as well as performances at the festivals in Aix-en-Provence and Glyndebourne. She has also made numerous orchestra appearances, and is an accomplished recitalist. Groop has world premiered music by several Finnish contemporary composers and many of the pieces have been commissioned especially for her, such as Olli Kortekangas’ opera Daddy’s Girl and Kalevi Aho’s orchestral songs The Book of Questions, among others. Since 2009, Monica Groop occupies the Professor Chair of the Vocal Department at the Sibelius-Academy in Helsinki, Finland. She is also member of the Royal Academy of Music in Sweden. Peter Berger was born in Slovakia, and studied singing at The Košice Conservatorium of Music with Juraj Šomorjai. In 2008 he sang the title role in Faust at the Croatian National Theatre in Split, and in the same season he made his debut in the role of the Prince in Rusalka at The National Theatre Brno, where he has been a soloist since the 2008/9 season in roles including Ismael in Nabucco, Alfredo in La Traviata, Lenski in Eugene Onegin and Michel in Martinů’s Julietta. In addition to his operatic work Peter Berger is a prolific concert artist, and has sung with the Slovak Philharmonic Orchestra as well as the State Philharmonic Košice, Prague Philharmonia, Brno Philharmonic, Bohuslav Martinů Philharmonic Orchestra, and the Czech Virtuosi. In the 2011/2012 season he performed Janáček’s Glagolitic Mass under Jaroslav Kyzlink with the Aarhus Symphony Orchestra and under Sir Mark Elder with the Hallé Orchestra in San Sebastian. In the 2012 Peter made his dèbut with The Slovak National Theater in Bratislava as Laca in Janáček´s Jenůfa. For this role he was also awarded The Slovak Literary fund prize. Mischa Schelomianski grew up in Moscow, where he studied choir training and singing at the High School for Culture. He continued his studies as a postgraduate with Prof. Berthold Possemeyer at the Frankfurt Hochschule für Musik and Darstellende Kunst. He made his operatic debut in Dortmund, gaining experience as Gremin Eugen Onegin, Timur Turandot, Leporello and Commendatore Don Giovanni and Pogner Die Meistersinger von Nürnberg. Since then his career has taken him to many companies throughout Germany and the rest of Europe including Baden-Baden, Hamburg, Frankfurt, Bonn, Cologne, Munich, Vienna, Salzburg, Geneva, Bern, Strasbourg, Lyon, Paris and Toulouse. Since 2008 he has been a regular guest at Glyndebourne Festival Opera performing Gremin, Vodnik Rusalka and Badger/Parson Cunning Little Vixen. On the concert platform he has sung at the Rheingau Musikfestival, Musikhalle Hamburg, Glocke Bremen, Philharmonie Berlin, Tonhalle Düsseldorf, Tonhalle Zürich, Alte Oper Frankfurt, Philharmonie München, with the Deutsche Kammerphilharmonie Bremen, and in Stuttgart, Maastricht, Hilversum, Gothenburg, The Hague, Amsterdam and in the USA for the Oregon Bach Festival. Mischa has a wide and varied repertoire which spans Monteverdi to Prokofiev and Mozart to Stravinsky. Thomas Trotter is one of Britain’s most widely admired musicians. He was an organ scholar of King’s College, Cambridge, and he later continued his studies with Marie-Claire Alain in Paris where he took the Prix de Virtuosité in her class. 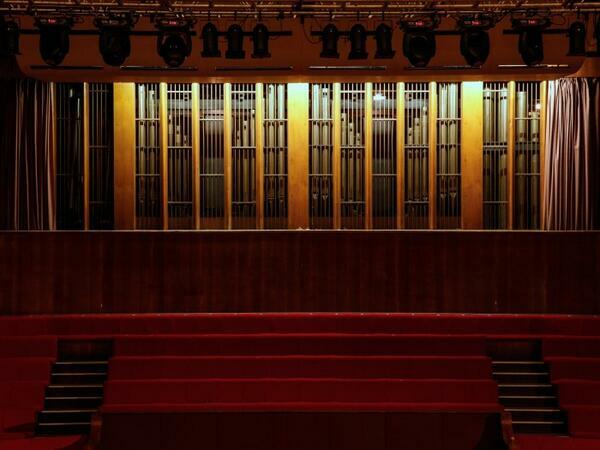 He has a special relationship with the City of Birmingham, where he was appointed City Organist in 1983 in succession to Sir George Thalben-Ball, based in the city’s recently renovated historic Town Hall and where in addition he is Resident Organist of the Klais organ at Symphony Hall. He is also Organist at St. Margaret’s Church, Westminster Abbey, in London and Visiting Fellow in Organ Studies at the Royal Northern College of Music. Thomas Trotter is a recipient of the Royal Philharmonic Society’s prestigious Instrumentalist Award and International Performer of the Year Award for 2012 by the New York City Chapter of the American Guild of Organists. He performs as soloist with, amongst many others, the conductors Sir Simon Rattle, Bernard Haitink, Riccardo Chailly and Sir Charles Mackerras, and has appeared at London’s BBC Proms. Alongside his regular recitals in Birmingham, he performs throughout the USA and Europe. Amongst many other highlights since then have been several recitals at the Edinburgh International Festival and as soloist at an opening concert there in Janáček’s Glagolitic Mass conducted by Sir Charles Mackerras, performing at the 50th Anniversary Concert of the Organ at the Royal Festival Hall, the re-inauguration of the Organ at the Royal Albert Hall, playing the solo organ part of Poulenc’s Organ Concerto for the Royal Ballet in ‘Voluntaries’ at Covent Garden and in recital for the South Bank Centre’s Messiaen Festival – From the Canyons to the Stars – at St. Paul’s Cathedral in London. Trotter became an extensive recording artist for Decca in 1989. His recordings include a collection ranging from Handel through to Litaize on the new Mander organ at St Giles Cripplegate (Critic’s Choice in Gramophone magazine Dec 2009), the organ works of CPE Bach from Eton College, and Robert Schumann from the organ of Merseburg Cathedral Germany (Editor’s Choice in Gramophone Jan 2011). Of his many other CDs he received a Grand Prix du Disque for his recording of music by Liszt. Gloucester Choral Society is an amateur chorus of approximately 170 singers based at Gloucester Cathedral and led by Adrian Partington. With a long and distinguished history dating back to the 1850s, the choir traditionally have the cathedral’s Director of Music as their musical director. Their repertoire spans the whole spectrum of choral music and occasionally they commission new works. GCS aims to present excellent concerts with strong soloists and high quality choral performances, but also aim to enjoy making music in a relaxed, friendly and supportive atmosphere and to create exciting opportunities for its singers, through overseas tours, singing in the BBC Proms or with the Philharmonia Orchestra at the Royal Festival Hall. @philharmonia Fantastic music making @Colston_Hall. Ms Groop & Thomas Trotter & choirs on fine form. Wish I could experience it again! Enjoying @philharmonia at the Colston Hall. Dvorak piano should be performed more often. Looking foward to the Janacek. @LVondracekPiano Looking forward to it. 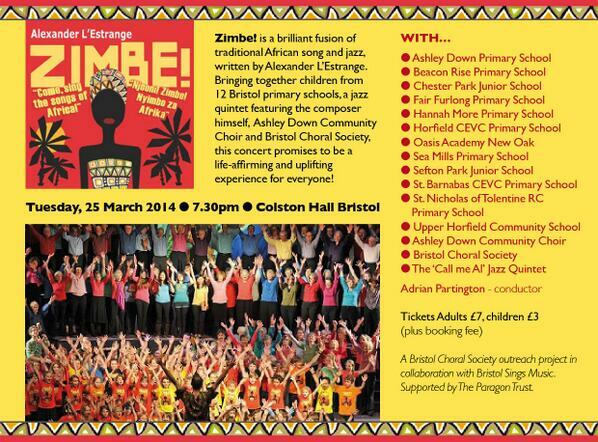 @BristolChoral @Colston_Hall We're already looking forward to it! 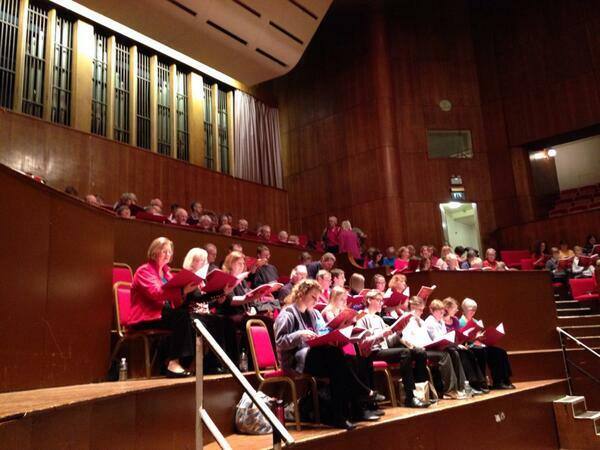 @BristolChoral I remember being overawed at being on the Colston Hall stage age 10. The Beatles had been on the same stage the week before! 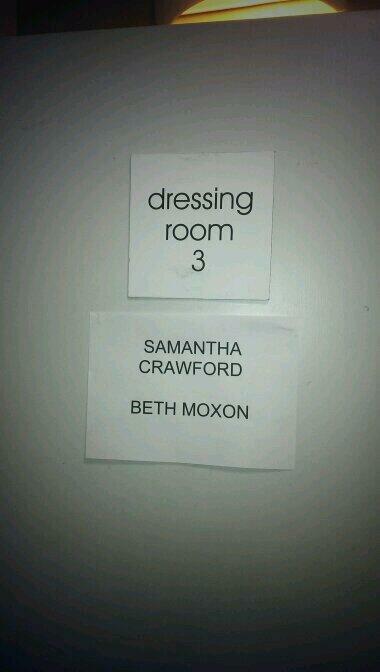 Really enjoyed myself last night The Colston Hall. 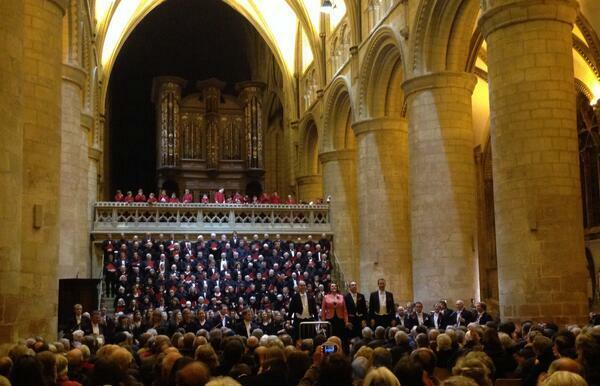 In particular, the stunning singing of @BristolChoral - a lovely final gig of the year! Feeling cultured @colston_hall for Handel's Messiah by @BristolChoral Very happy with the under 25 prices! 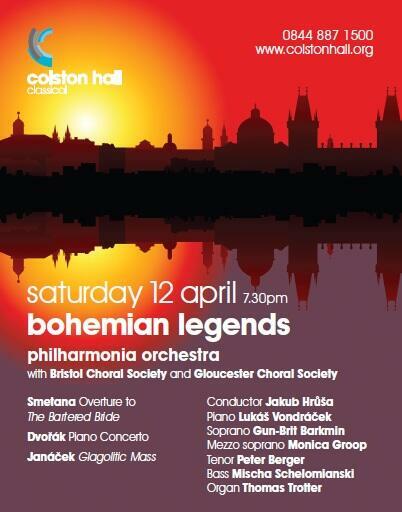 MT @BristolChoral In #Bristol this Saturday? Bring the kids to something really special. Info: http://t.co/xf7nRywH1c #kids go #FREE! 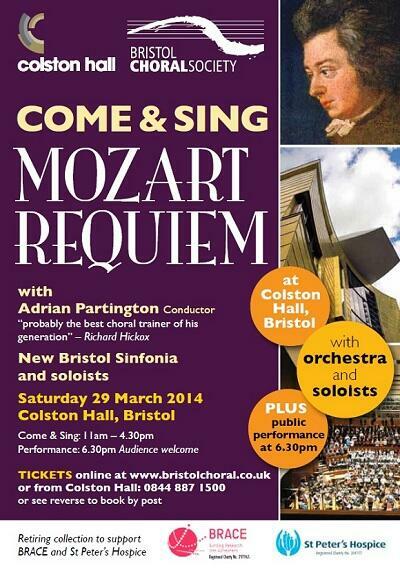 @BristolChoral @Colston_Hall See you have the lovely Dan Auchincloss singing with you. A favourite of ours @LeithHillFest. 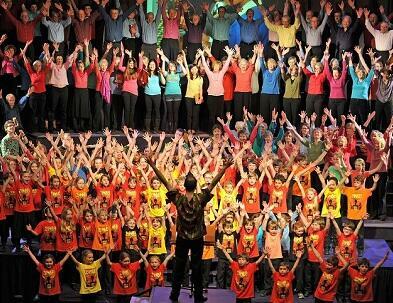 @BristolChoral @Colston_Hall I wonder who has the longest running Messiah in the world? This is our 39th @RoyalAlbertHall. MT. @BristolChoral @GlosChor Wow. Just wow. 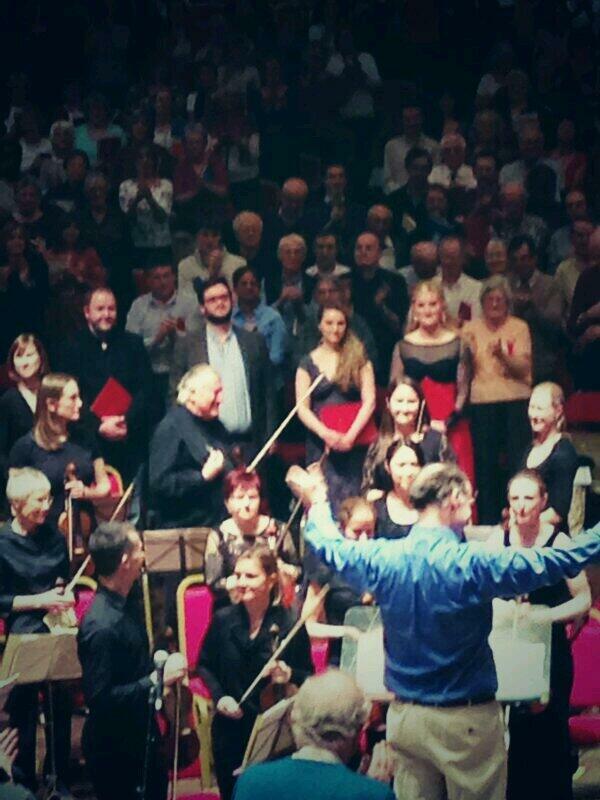 #britten100 #warrequiem triumphs at Colston Hall - shattered in every possible way. Triumph. @BristolChoral that's right! First time on the Colston hall stage since the semi final! 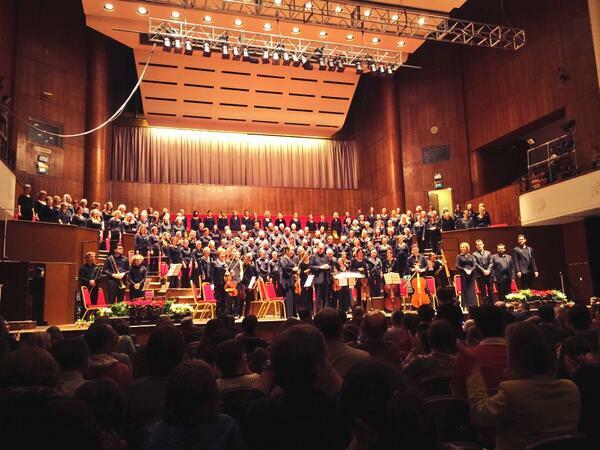 @BristolChoral @Colston_Hall What a massive season! What other works might make your choral favourites? @BristolChoral @GuyLimb @Biff_Liff @DomenicoMusic @Bristol_Culture Already booked for this December at the Colston Hall, can't wait! The Philharmonia Orchestra. With Paavo Järvi and Lisa Batiashvili.